The outlook last winter did not bode well. 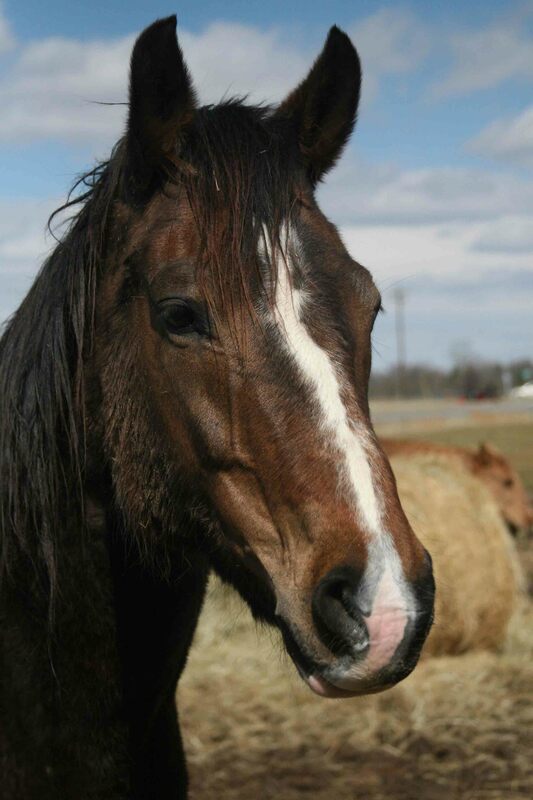 Early into the fall of 2009, HPS had already seen numerous cases of equine starvation: a dirt lot with 10 starving horses, a backyard with starving horses.... Animal control visits and an occasional round bale appeared but the problem continued. Equine abuse cases are costly, and local governments cannot afford to care for large herds of animals so they desperately try to get owners to comply enough to prevent them from having to seize the animals. Autumn came from Rowan county. She was in a muddy round pen in her owner's backyard with a little black mare we have named Truffle. There was no feed. A few sprigs of hay were lying in the mud. The owner of the two horses came out of the house and begged us to take her horses before they died. She was unemployed. Her electricity had been turned off. A relative had dumped her two small children off with her days before. A thin dog was tied to the porch and a puppy whined under the deck. Neighbors have since reported that there had been a third horse but it died in the round pen back in the summer. 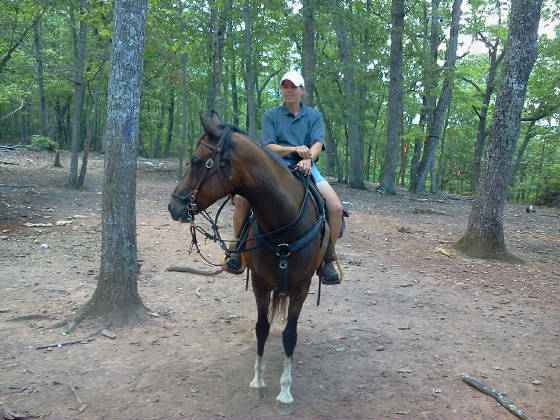 and going out on trail rides. 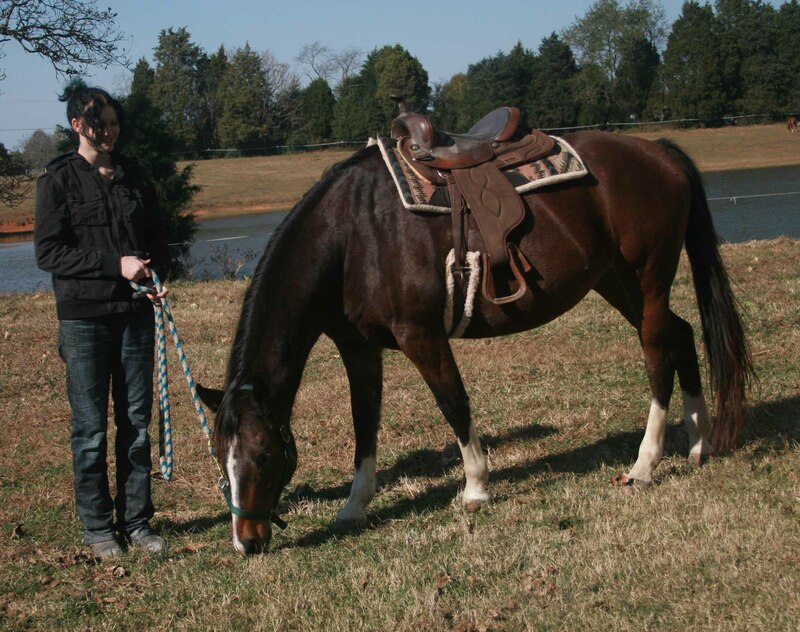 Her trainer says that she is a fabulous trail horse who really enjoys getting out on trails. She loads into a trailer easily, stands quietly while being tacked, gets along with other horses. 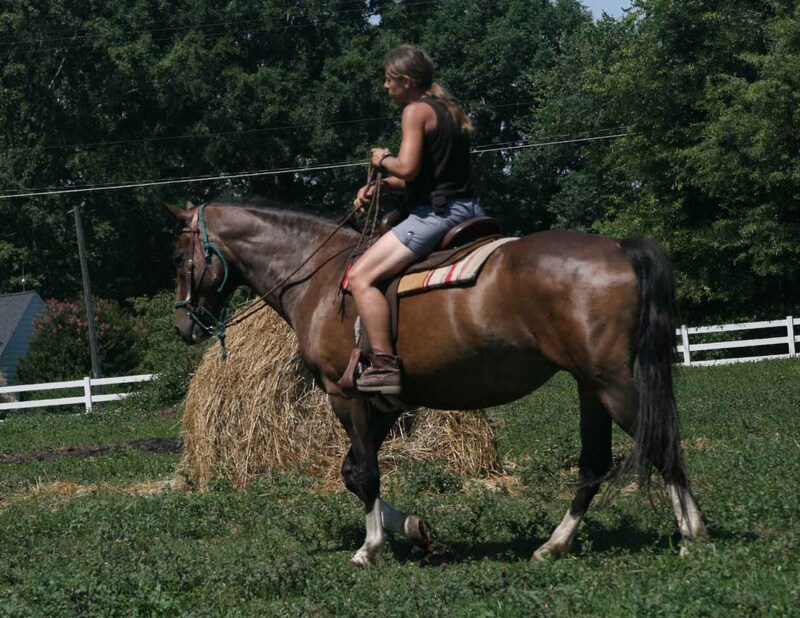 She can be ridden in any position on a trail ride: leads, in the middle with another horse on her tail, or bringing up the rear. She has no trouble crossing water and stops at street crossings and waits calmly for traffic to pass or other horses to catch up before crossing roads. Autumn is not a good horse for a beginner and will do well with an experienced horse person.If you are interested in this lovely mare, contact the sanctuary to make an appointment.